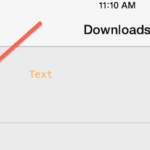 If you are experiencing slow downloads from the App Store or iTunes Store (movies, music, etc.) to your Mac, iPhone, iPod touch, iPad or Apple TV a simple setting may be to blame. However, some users have reported the opposite to be true; i.e. 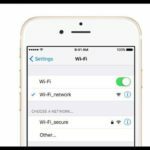 using Google’s DNS servers or OpenDNS servers results in faster access to the App Store, iTunes, YouTube, Netflix, etc. As such, it’s best to play with your DNS servers and find an option that works in your location and with your ISP. You can usually find your ISPs DNS settings by going to your ISP’s website and locating a “DNS help” section, or typing the name of your ISP and the term “DNS” into Google, e.g. “comcast DNS.” For Comcast, go to their support site; many other ISPs’ DNS servers are listed here. Google’s DNS servers are listed here, and OpenDNS’ here. Click on the connection you are using now. 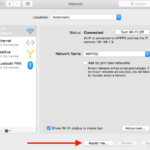 Navigate to Settings > General > Network > Configure Wi-Fi and find the DNS setting. Changing the DNS Servers seems to do the trick. I was on 8.8.8.8 and then I changed it to 8.8.4.4 and my download changed from 17 hours to 16 minutes then to 5 minutes and it was downloaded. On my macbook air I was unable to use IPv6 2001:4860:4860::8888 2001:4860:4860::8844 because it said it was not compatible. oh wow!!! 8.8.8.8 dns was added. 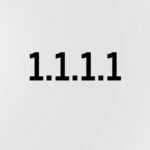 Wouldn’t it make more sense for Apple to identify the optimal DNS setting, or perhaps change the connectivity at their end? Not sure why they constantly blame the user… “WE are perfect. 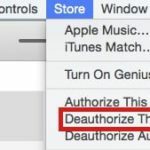 Your settings as wrong!” I really don’t want to spend hours experimenting with various DNS settings in order to get my iPad to function the way it should with iTunes. What complete nonsense. I never comment on anything but I had to this time holyshit this works! I wanted to watch this movie so bad and it said 7 hours left! now added google dns server only 50 minutes can start watching right away! Thank you so much! U are a genius! It worked like a charm! The advice here might work for some people, but it does not go to the root of the problem. I am currently developing a video podcast service that bypasses the iTunes store – in this arrangement, the video file is NOT provided by Apple, the service just uses the iTunes desktop application as the client. I have seen exactly the same problem, even though I’m serving the video file from an extremely fast server environment. 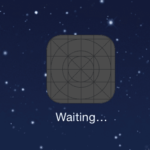 There seems to be something wrong with the iTunes client application – it’s very bad downloads. Many people have experienced this. I recently had this problem and you made me realise that I added openDNS to my router. iPhone was originally using my ISP DNA whilst PC was set to openDNS. Changing it my router made the iPhone use openDNS and the app store crawled when downloading. Removed the openDNS from my router and everything is back to normal and fast again. Thanks for the information! And setting the keychain access certificate (CRL) to off which was another fix found else where. Didn’t work for me in this instance. I use the opendns addresses. So setting it back to my default ISP sped the whole thing up. U save my life!!!! I love u!!!! I pad 2 is slow when buffering YouTube videos . I tried to change the DNS number with no luck. Then I opened safari to watch LQ it was fast but I like HQ. Is there a download fix.? İ have been living this problem and the instructions here didnt work. What else can i do? I am having the same problems for the last month and a half with iTunes and it is depressing when you have a 25M download speed. The suggestion that it is cause by Google DNS Servers seems a bit odd as I am having extreemly slow speeds and am not using the Google DNS servers or anyones other those of my ISP (Rogers). I dont know if others have noticed it also but Microsoft Updates have also slowed to a crawl if you watch them download as they install. Wishing for a fast fix to this whole issue and sure hope ISP’s are not upto massive traffic shaping again with out owning up to it.